National Road Magazine is proud to welcome The Putnam Inn as one of our primary supporters and sponsors. 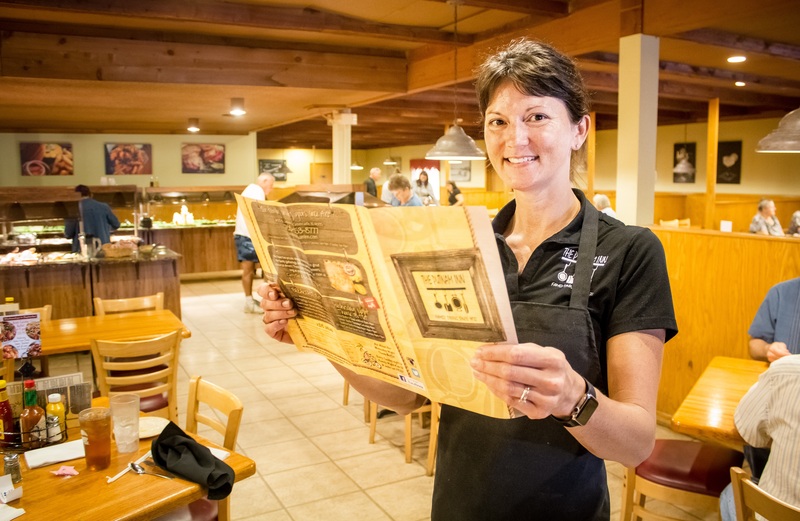 Please enjoy this feature profiling Rhonda Brotherton, her restaurant, her dreams for its future, and her deep and lasting legacy. More importantly, support our sponsors and check out what’s happening at The Putnam Inn. 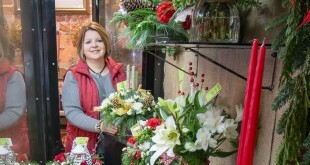 Other Primary Supporters: Eitel’s Flowers, Myers Market, and 25/7 Consulting. When my step-daughter (see note at bottom) Megan, started her first “real” job, she worked at a place which offered her all the things teenagers think they want: down time under the sun, some authority, work shifts often cut short by bad weather, and a healthy dose of drama. By the time she left that gig to work at The Putnam Inn, she was seeking something else, and after three months, her mother and I figured out what that was. Gone was the lackadaisical attitude. Minimized greatly was the craving for instant gratification. Lost was the aversion to physical exertion. The once precocious teen, who haply strapped herself into her laptop for six or seven hours of Netflix now walked out of her room sometimes, even joined me in the den eager to parse over the nuances of a Bernie Sanders’ speech or deconstruct some mystifying Ted Cruz quote. Her world had expanded, and her sense of her place in that world had solidified. Maybe it’s hyperbolic to say that Megan’s new part-time job triggered the change. Maybe…but then I think about it…rationally…logically…and I don’t think it’s an exaggeration at all. Not long after Megan went to work at The Putnam Inn, she grew up. 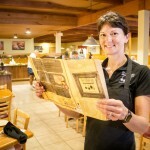 In 1972, a month after Rhonda Hansen Brotherton was born, her parents opened the Inn offering a menu and environment which, as she herself claims, “is much like today, focusing on the smorgasbord setting.” For the next decade, the Inn would secure its place in the quiet enclave Greencastle used to be, offering comfort food to a community bookended by an upscale liberal arts college on one side of town and a corporate behemoth—shelling out hundreds of high-level salaries—on the other. But as the town changed, so did the Inn. For a handful of years in the ‘80s, her parents shelved The Putnam Inn, opting to run the property as a bar instead. Less than a decade later, the Hansens handed over the Inn’s keys to Brotherton and her husband, Chris. Like that, the restaurant which had been pivotal to her childhood, would now define her adult life. 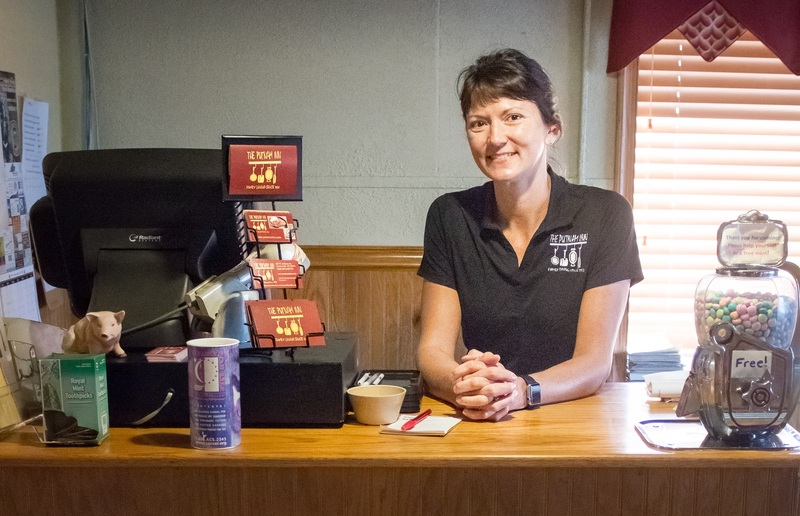 Eager to both put her own imprint on the restaurant and also expand its income streams, Brotherton turned her attention to the business’ slowly emerging catering wing. “When Chris and I got married,” she says, “Dad probably catered one or two events a year…the Quails, Unlimited sort of things. But since then we’ve grown that part of the business tremendously. From one or two a year to one or two…or five…a day.” Now running what is effectively (and from a bookkeeping standpoint, legally) two business ventures simultaneously means that Brotherton has to play point-guard for more than one ball game at a time. “I have to prioritize,” she explains. “If it’s a Friday night or a Sunday afternoon I like to stay here at the Inn because those are our biggest days, and I really don’t like to be away from here unless I absolutely have to be. The things which would drag me away to work a catering event could be a 50-person ‘high maintenance’ job or a 400-person gathering. I simply have to set my priorities based on what I think the most difficult tasks are in front of me.” Logging anywhere from 55 to 80 hours a week creates stress. Brotherton says as much, but she doesn’t have to because everyone who lives in this town already knows that. She’s never off the clock. In fact, spotting Rhonda Brotherton in a black Putnam Inn polo shirt, an apron around her waist, sweat dangling from her bangs, and a heaping tray of chicken alfredo in her arms is more than common. It’s ubiquitous. While Brotherton has no plans to step down, she does see that a transition is underway. 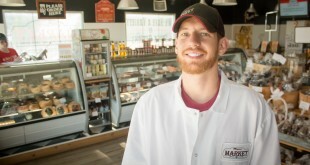 Her son, Luke, now spends a great deal of time working for her, learning the trade from several vantage-points. But before the day comes when she, like her parents, hands over the family legacy to the next generation, she still wants to push The Putnam Inn into new territory. 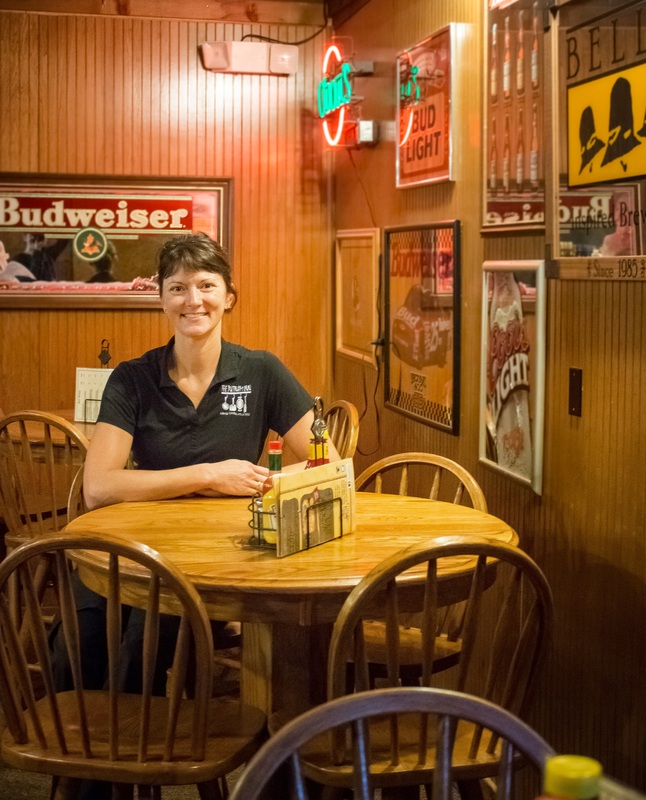 Foremost on her mind when she thinks about “the next level” is the Inn’s tucked-away bar. 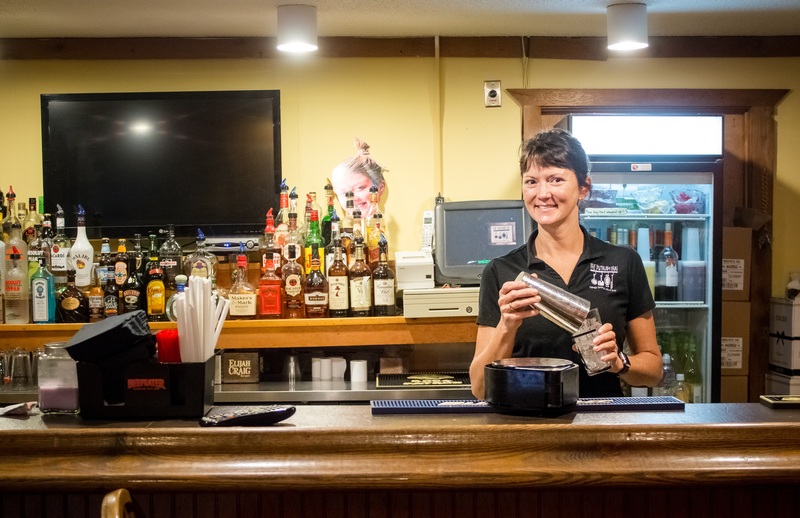 Nestled far beyond the general seating area, on the other side of the Inn’s reserved room for private and large family seating, the bar currently operates as one of the community’s hidden secrets. Cozy and intimate, serving up a host of craft brews ranging from Fountain Square to Sun King products, the Putnam Inn’s bar is a microcosmic example of the larger idea Brotherton wants to bring to life. “I would like to see this space evolve into that part of the Inn where you could enjoy that other, more creative side of the menu and essentially create a restaurant within a restaurant sort of feel,” she explains. “There’s definitely a lot more that should be and could be done with it. And one of my goals is to change that ‘should be’ into a ‘will be.’ The bar carries a lot of untapped potential.” She pauses for minutes, looks at me, and breaks into laughter. “No pun intended,” she adds, still laughing. Cozy and intimate, serving up a host of craft brews ranging from Fountain Square to Sun King products, the Putnam Inn’s bar is a microcosmic example of the larger idea Brotherton wants to bring to life. How those plans will unfold will be settled in the future. In the meantime, Brotherton continues to reinforce The Putnam Inn’s existing brand, and even though she still has many years to go, she does think about the legacy of her last twenty years. I hope that people acknowledge how hard I’ve worked at it,” she admits. “I hope that people feel that I’ve done a lot of good supporting the community and being there for the people I live with.” Sitting near me at the bar, running her finger along the edge of her glass, contemplating her next words, Brotherton turns to me and finishes her thought. If my step-daughter is any indication, then the answer to her hope is resounding affirmation. Regardless what she does next to redefine, expand, and grow The Putnam Inn brand over the second half of her career, what many of us will value most deeply is the role she’s assumed as chief matriarch for a community of young people teaching them the importance of getting up and showing up…of letting go of excuses and being good at their jobs, especially on the days when they really don’t feel like it. Given that The Putnam Inn is a family business in the business of serving families, it seems fitting that Rhonda Brotherton would be the person we point to when we try to show our kids what real work, hard work looks like. Hers hasn’t been the glamorous path, and she’ll be the first to say that she’s not going to work this hard forever, but she’s proof of the one unassailable truth in both life and work: If you really want to be successful, the only way to make that happen is to forget about the shortcuts and do it the hard way. Wheeler proudly teaches AP Literature and AP Language to some bright and lovably obnoxious kids in a small college town. He is the senior editor for the craft beer website Indiana on Tap and writes for ISU’s STATE Magazine. Since putting in a pool he can now dive in head first (with goggles), and he has mostly stopped throwing golf clubs, but he still hates to fly. **Megan’s mother and I are engaged, not married. But life is so much less complicated by simply calling her my step-daughter because in a practical sense, she is. Like all the artcles you share with us, you knocked this one out of the park. Job well done my friend. Thanks for choosing Rhonda and The Putnam Inn for one of your articles. As Rhonda’s mother, her father and I could not be more proud of her accomplishments and her work ethics. She was very similar to your Megan when she was a teenager but she really grew up! I remember before her high school graduation she made the comment “My life doesn’t revolve around this restaurant!” That comment has sure come back to haunt her, but she also has always been there to support her children and husband! I really enjoy working with Megan and can see the changes in her work attitude and ability to relate to her customers. A lot like Rhonda! !Thanks again!